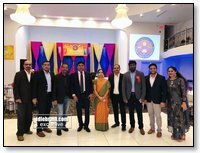 The event was executed by Shiva Reddy Kolla (RVP), Kiran Duddagi (RVP), Deepthi Miryala (NJ Women Coordinator), Navya Reddy(NJ Women Coordinator) along with the other team members Srekanth Akkapalli ( BOD), Gangadhar Vuppala ( SC), Ram Mohan ( SC), Mahender Narala(SC), Naveen Kumar Yallamandla (RC),Narender Yarawa (RC),Gopi Vutkuri (RC),Vijay Bhasker (RC),Satish Jillela (RC) and Venu Sunkari (RC) under the leadership of Srinivas Ganagoni ( General Secretary). 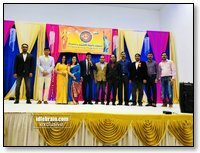 The event was sponsored by Mohan Patalolla (AC Member). 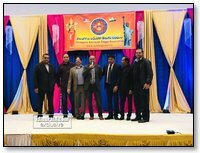 T.A.T.A leaders from New York Ranjeeth Kyatham (Treasurer), Sahodar Reddy (BOD), Pavan Ravva (Chair- Membership), Mallik Reddy( NY-RVP), Madhavi Soleti (Women’s Chair), and Rama Vanama(Cultural Co-Chair) and from PA, Suresh Venkannagari (Joint Treasurer), Prasad Kunnarapu (BOD), and Sudershan Chetukuri ( RC) participated in the event. 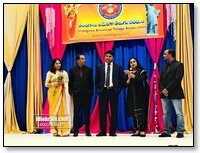 The event was started with the American, Indian national anthem and the Telangana anthem. 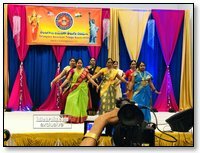 Local talent came ready to showcase their voice through a medley of great songs and performed beautiful group dances. 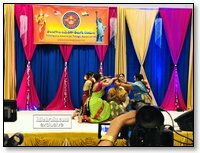 Special performances included ”Neti Mahila” dance medley and a skit on “Pulwama Attack” on our soldiers performed by kids. 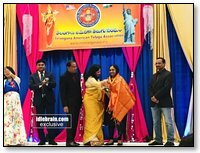 In addition, T.A.T.A was able to showcase the unique talent of Divya Chandrika Rayilla who enthralled the audience with her fusion medley on her Veena. 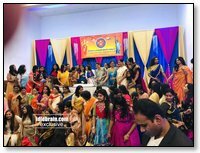 A highlight of the event, was a beautifully executed fashion show, that was a great end to a great event with cake cutting celebrations. 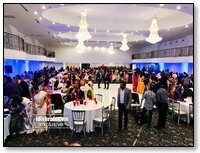 The exotic event decoration is supported by Rainbow events LLC by Girija Madasi - 732 208 0401. 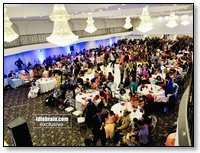 The event is covered with both South and North Indian media. 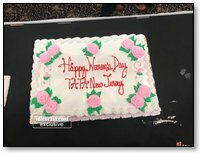 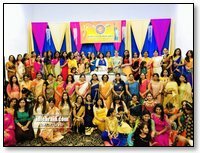 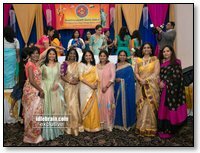 Telangana American Telugu Association is formed to promote and perpetuate the culture and social conditions of Telangana and people of Telugu descent in general. 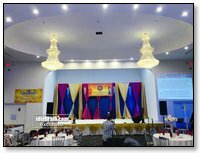 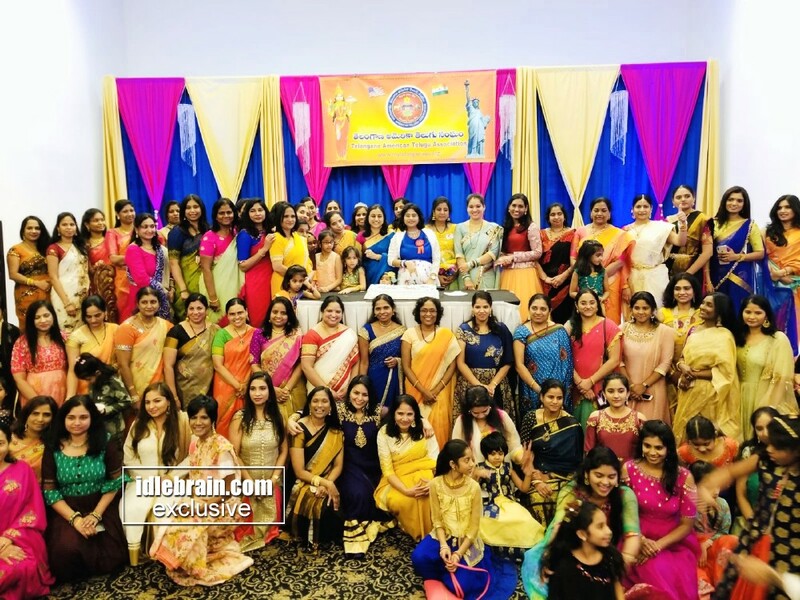 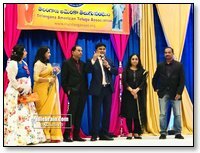 “Telugu Kalala Thota Telangana Sevala Kota” being the first national organization for Telangana in North America, the organization will act as a beacon light to all Telangana organizations across the country for generations to come.